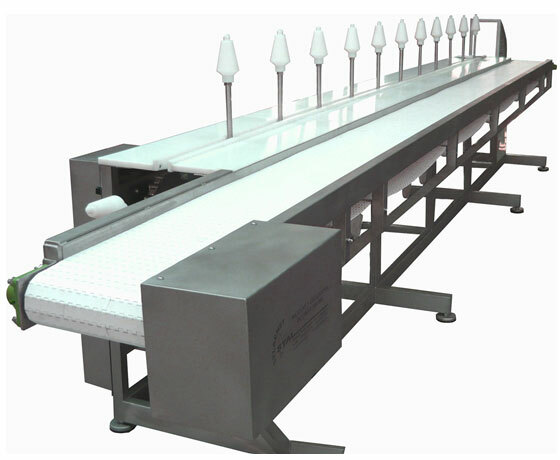 The poultry Cone Deboning Line (or cutter) is designed for effective and hygienic cut-up and filleting of any type of poultry. The cutter is made of stainless, acid-resistant materials and special food approved plastic. Carrying frame made of hollow profile sections. The lower profile is equipped with feet for height and level adjustment. The upper part of the frame is covered by a two-part tabletop fastened to an angle section, which is welded to the frame profile. The chain conveyor, the drive and tension shafts, as well as the upper and lower guides are fixed to frame elements. Different kind of cones allow the use of this line for broiler, ducks, geese as well as turkeys. 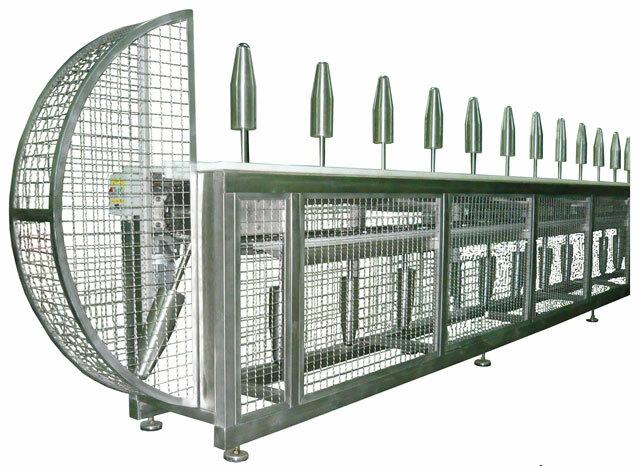 unit and can be combined with segments of 1.60m length in any desired quantity. Thus, giving the opportunity to have a tailor-made solution for any bird capacity per hour required. The line is equipped with a speed adjustable drive gear, the switchboard with all necessary controls as well as an emergency cut-off wire.